No homeowner ever wants a pest problem in their house, but if you find you’re suddenly sharing a space with insects, rodents, or any other unwanted guest, enlisting the help of a reliable pest control company will give you complete peace of mind. For residents of Hobbs, NM, Taylor’s Weed & Pest Control is the best team to get the job done. 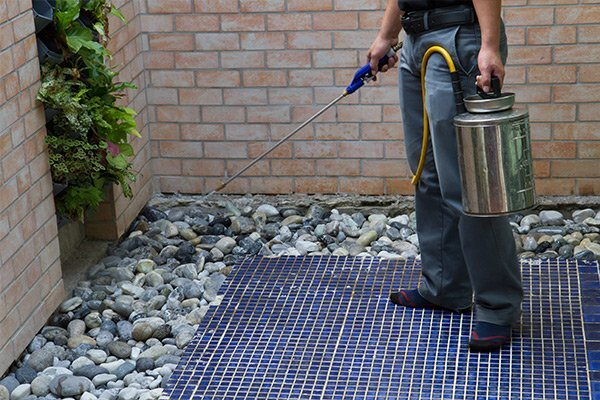 With more than four decades of combined experience, these insect and rodent control professionals have the tools and know-how to completely eradicate pests from your property. Below, the crew from Taylor’s Weed & Pest Control explains four common types of pest control services. Some pest problems aren’t easy to identify. For instance, some homeowners with termite issues only see small swarms, or no insects at all despite seeing signs of damage. If you suspect that you might have an infestation, an expert can confirm for sure which type of pest is present in your home, if any. Both insect and rodent infestations can be controlled through a number of approaches. For instance, Taylor’s Weed & Pest Control uses TERMIDOR® products to reduce termite populations, saving your home from further damage. Once an insect or rodent population is controlled, pest control professionals can then begin the process of eliminating the infestation. Whether you have mice, bats, skunks, wasps, ants, or spiders, the professionals know how to safely and effectively remove pests from homes. When you’ve lived through one pest infestation, the last thing you want is for the problem to reoccur. In many cases, a professional team can identify and block the entry points in your home or garage. This will help you protect your home against future pest problems. When you need help removing pests and preventing them from entering your home again, call (575) 492-9247 to set up an appointment with Taylor’s Weed & Pest Control. You can also read more about the company’s full range of pest control services on their website.